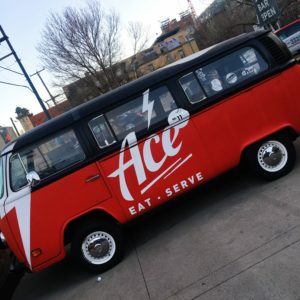 Ace, Eat, Serve! 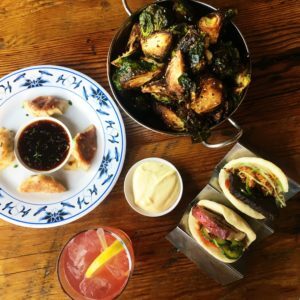 An Asian fusion restaurant located in Denver’s Uptown Neighborhood is a funky, fun, and delicious restaurant that is sure to wow guests coming in for the first time. Located in an old limousine garage, the ambience at Ace is unmatched–hip, modern, casual, and exciting. A host stand made of old airplane parts, a display of the ingredients used in their menu above the kitchen, refurbished benches and a wall of signed ping pong balls all add a uniqueness to Ace that stands out to diners. 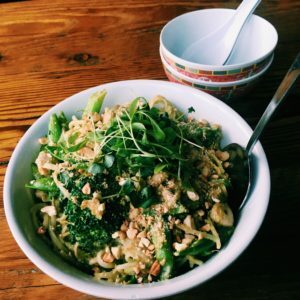 And the FOOD…yes, let’s talk about the food for a second! 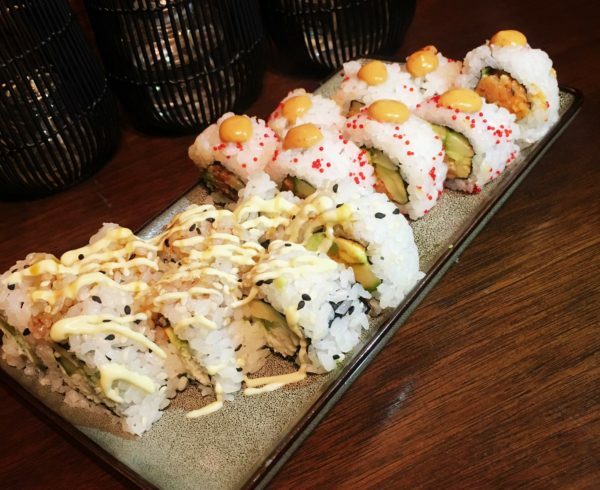 Asian inspired cuisine that is interesting, flavorful, and yet reasonably priced–what more could you ask for? 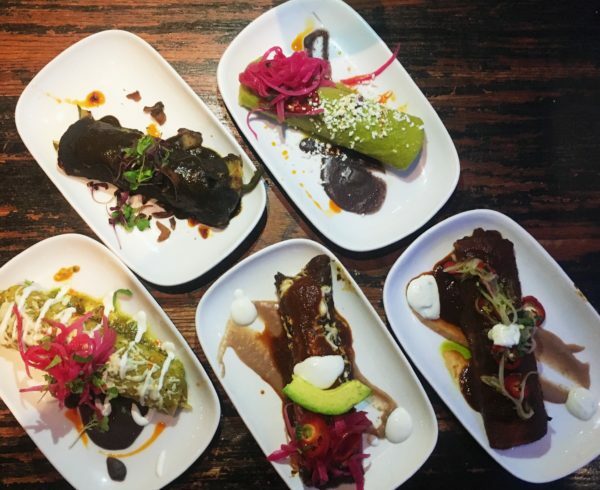 For those of you who enjoy sampling as many menu items as possible (like me, obviously), you’ll be happy to find many small, shareable dishes on the menu that will give you a great feel for Ace’s style. Everything at Ace is savory and mouth-watering, but one of their most popular items–the tiger wings, are out-of-this-world! 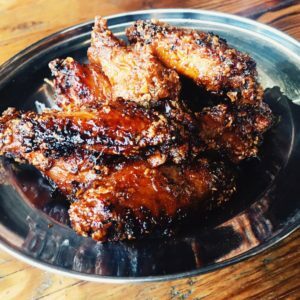 Perfectly seasoned and crispy, these wings will melt in your mouth and you’ll be licking your fingers once they’re all gone. Seriously, I could have ate my weight in these wings. 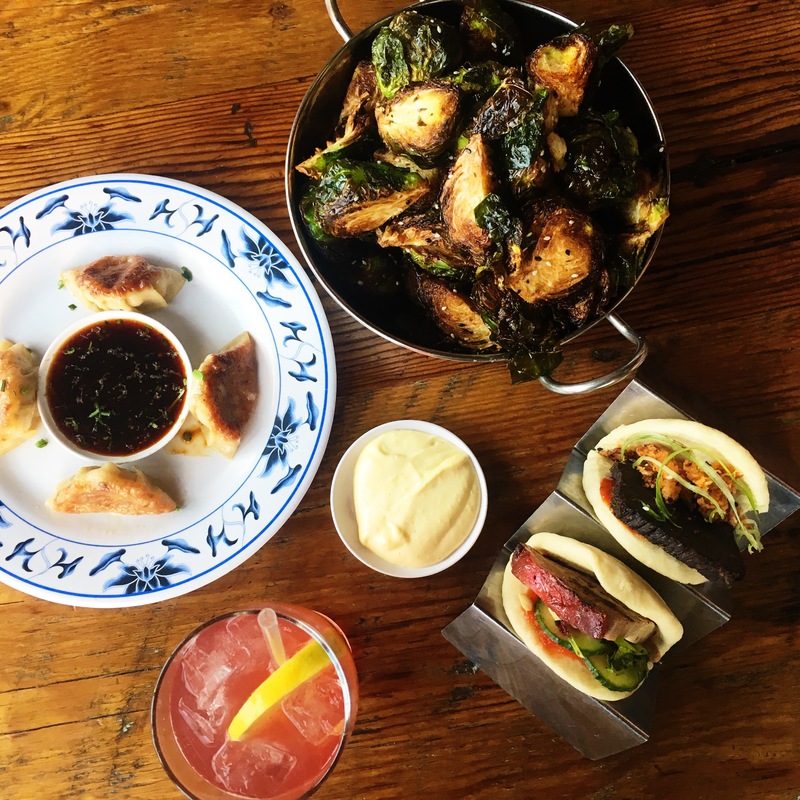 Other menu highlights that are a must try– the green curry, the chicken gyozas, and the bao buns, of which the pork belly was my favorite! And theeeen, there’s the ping pong! How many restaurants offer you a way to burn off all the calories you just ate at dinner?! 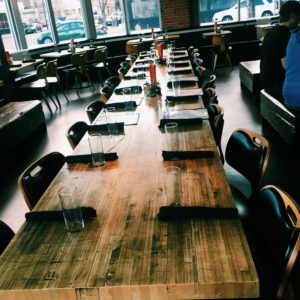 Ping pong tables are offered everyday for rent by the hour and make for a great ending to a tasty dinner. In addition, every Tuesday, Ace hosts a ping pong tournament with a $25 gift card reward in store for the winner. 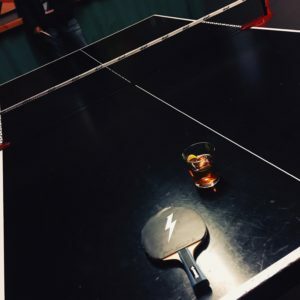 Pick up a paddle and join the fun, or just grab a drink and take in all the action–there is some serious competition at Ace and it’s all very exciting to watch. 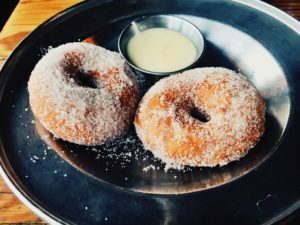 Between great cocktails, delicious menu offerings, great service and a fun environment–Ace has all the makings for a perfect date night, a social gathering or a night out with friends. You will not be disappointed! 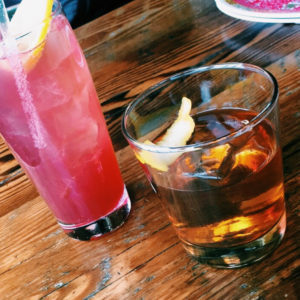 Make sure to also check out Ace’s Happy Hour Monday–Friday, 4pm-6pm.